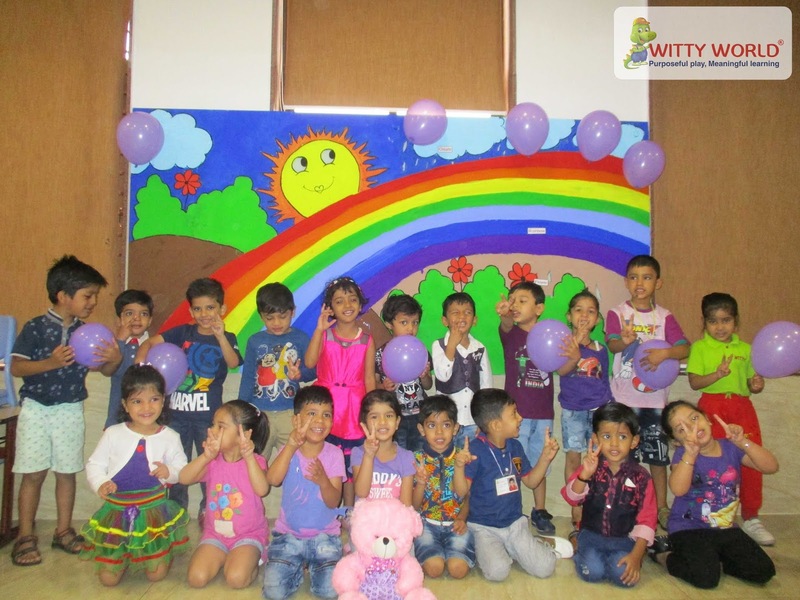 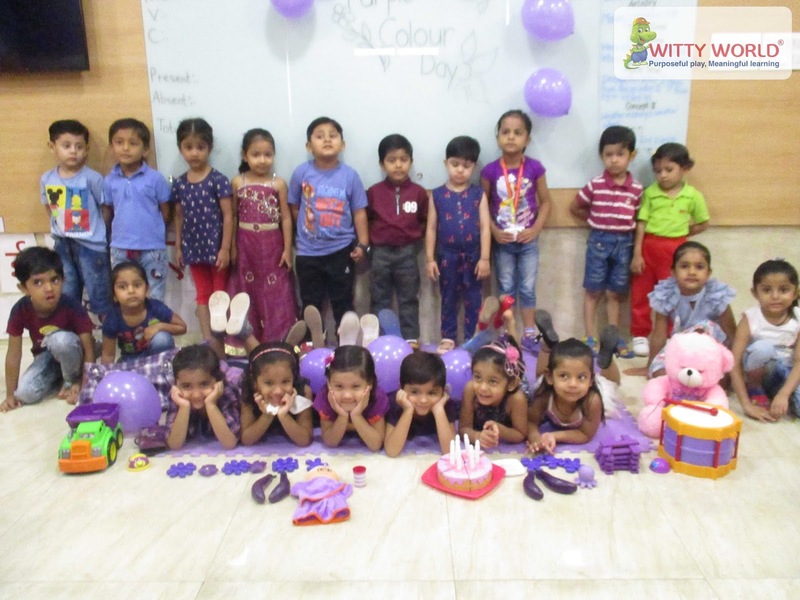 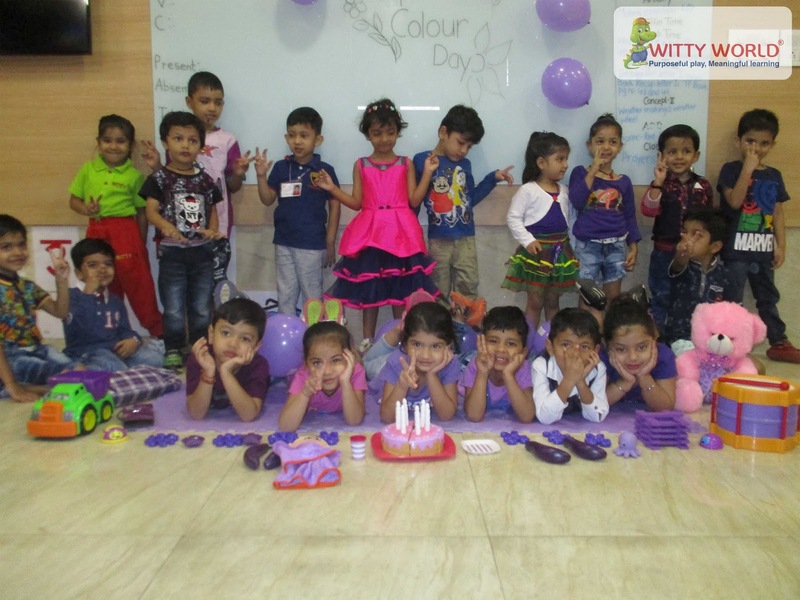 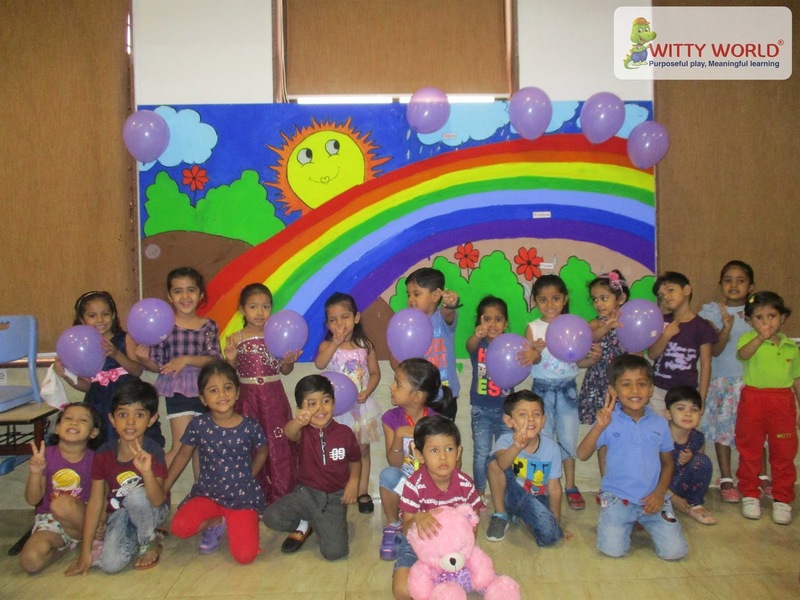 The Little Wittians of Junior KG at Witty World Bhilwara were introduced to Purple Colour on Wednesday, August 08, 2018. Children came to school in purple coloured clothes. 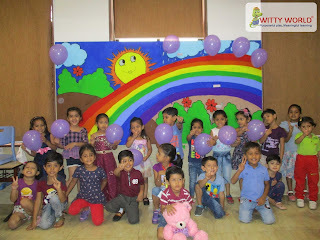 The classroom was decorated with purple coloured objects and balloons. 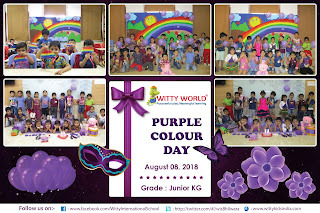 The purple colour is the colour most associated with power and royalty. 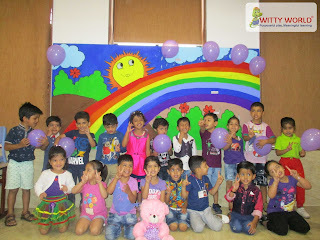 Children learned the concept of purple colour by doing artistry of blotch painting in scrapbook and relishing the complete class room decorated with purple colour objects.Children enjoyed a lot and recognize the purple colour with fun activities.